Officials with the European Union Naval Forces are confirming Somali pirates have hijacked a tanker that was carrying crude oil from Saudi Arabia to the United States. Some people are concerned about the safety of the H1N1 vaccine. DNU Flash - Strike Fighter Squadron 27 completes 100,000 class "A" mishap free hours of flying. DNU Flash - Commander U.S. Central Command, General David Petraeus, visits USS Nimitz (CVN 68). DNU Flash - USS George Washington (CVN 73) Sailors celebrate Native American Heritage Month. DNU Flash - Secretary of the Navy Ray Mabus visits Naval Air Station Sigonella. After months of planning, a World War Two Hellcat Fighter jet was raised from the depths of Lake Michigan. DNU Flash - Secretary of the Navy Ray Mabus visits Camp Eggers, Afghanistan. DNU Flash - Headlines from around the fleet: CNP Vice Adm. Mark Ferguson talks about petty officer advancement; The Navy's new training courses for E-4 to E-6 Sailors are hitting the fleet in December. Today's military leaders and medical personnel have struggled for years to diagnose and educate their troops about the invisible injuries of war. A group of National Guard soldiers from southeast Texas are training at Fort Bliss, Texas. The 57th annual Christmas parade outside of Boston, Massachusetts had a military theme this year as the town of Quincy said goodbye to troops heading overseas. World AIDS Day is December 1st and the Defense Department is working along with other federal agencies and private organizations to promote awareness of the problem. Military leaders believe that Afghanistan's Logar Province, which is south of Kabul, is a critical region in the country. Officials with the European Union Naval Forces are confirming Somali pirates have hijacked a tanker carrying crude oil from Saudi Arabia to the United States. DNU Flash - USS Bataan (LHD 5) goes green by recycling. 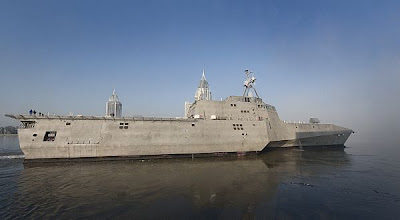 DNU Flash - A look at San Diego, Calif., a popular Navy port of call. DNU Flash - The Fleet Landing USO at Fleet Activities Sasebo, Japan, installs Skype on all computers. DNU Flash - Team M & M entertain service members and their families on their European tour. DNU Flash - Combat engineers of Marine Wing Support Squadron 171 rebuild the San Juan Bano school in the Philippines. DNU Flash - Headlines from around the fleet: Former Chief of Naval Operations, retired Adm. Vern Clark joins the Pentagon's panel investigating the shooting at Fort Hood, Texas; The Navy is awarded the Workforce Management Magazine's Optimas award. A Pentagon spokesman says Defense Secretary Robert Gates is waiting like everyone else to see if President Obama will send more troops to Afghanistan. Trees for Troops is once again giving servicemembers overseas a whiff of home. Volunteers have organized to ship thousands of Christmas trees to military men and women around the world. Pentagon press secretary Geoff Morrell says if President Obama decides to send more troops to Afghanistan it's expected that NATO will do the same. Some troops stationed around the world got a special Thanksgiving Day treat. They got a call from President Obama. He thanked them for their service and sacrifice on behalf of the nation. DNU Flash - Chief of Naval Operations Adm. Gary Roughead delivers his holiday message. DNU Flash - A look at Boston, an historic Navy port of call. DNU Flash - Students at Fleet Activities Sasebo, Japan's E.J. King High School mentor their fellow students. DNU Flash - A military spouse at Naval Support Activity Naples, Italy, makes holiday CDs for gifts. DNU Flash - Hospital Corpsman 2nd Class Thomas Hobbs is a dive medical technician at Naval Support Activity Bahrain. DNU Flash - Headlines from around the fleet: Chairman of the Joint Chiefs of Staff Adm. Mike Mullen delivers his holiday message; Recruit Training Command Great Lakes' makeover is nearly finished. DNU Flash - Two Navy Reservists receive the opportunity to train with active duty Sailors aboard USS Guardian (MCM 5). 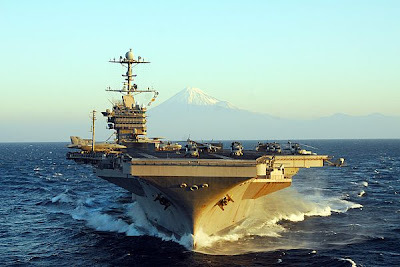 DNU Flash - USS George Washington (CVN 73) returns home. DNU Flash - Security at Naval Air Facility Atsugi, Japan, holds an anti-DUI campaign. DNU Flash - Hospital corpsmen from Naval Station Rota, Spain, teach elementary school students about the dangers of prescription drugs. DNU Flash - Seabees from Naval Mobile Construction Battalion 3 train at Naval Station Rota, Spain. 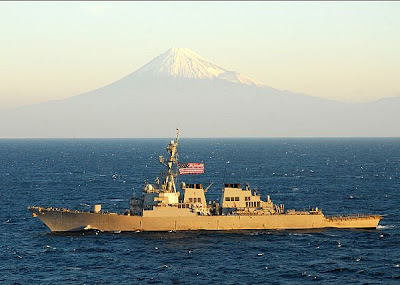 DNU Flash - Headlines from around the fleet: The George Washington Carrier Strike Group returns to Fleet Activities Yokosuka, Japan, after its second fall deployment; Helicopter Sea Combat Squadron 25 welcomes home Detachment 1 from a 13-month deployment. Talk show host Oprah Winfrey helped hundreds of servicemembers at Fort Bragg celebate their Thanksgiving holidays when she joined them via satellite from Chicago. The crush of veterans returning from Iraq and Afghanistan, combined with the implementation of the new GI Bill, is resulting in a population explosion of veterans on college campuses. One part of the impending Defense Department review of the November 5th shootings at Fort Hood will include the performance of the first responders. The two men tasked to lead the Defense Department's review of the shootings at Fort Hood visited the scene of the attack on Tuesday. DNU Flash - USS Hue City's (CG 66) Visit, Board, Search and Seizure team conducts a training exercise aboard USNS Prevail (AM 107). DNU Flash - USS Bataan (LHD 8) Sailors graduate from the new Sailors Assimilation Course. DNU Flash - USS George Washington (CVN 73) Sailors conduct a public outreach project while on a port call in Hong Kong. DNU Flash - Navy hospital corpsman from the Marine Wing Support Squadron 171 treats the local population in the Phllippines. SECDEF Robert Gates and other senior Pentagon officials are ready to testify before Congress once Commander in Chief Obama announces his decision on the way ahead in Afghanistan. DNU Flash - Commander Naval Safety Center, Admiral Arthur Johnson visits Naval Support Activity Bahrain. DNU Flash - Headlines from around the fleet; Navy officials made revisions to the Family Care Plan policy: Precommissioning Unit Dewey (DDG 105) arrives in its homeport of San Diego. Many people rely on soldiers like those of Fox Company, 2nd Battalion, 16th Infantry Regiment to keep them in the fight. As the security situation in Iraq continues to improve, the Iraqi government is reaching out to global businesses to increase its financial stability. World AIDS Day is December 1st and the Defense Department is working - along with other federal agencies and private organizations - to promote awareness of the problem. The Afghan National Army opened a new courthouse near Kabul. Austin restaurant helps soldiers celebrate Thanksgiving early. A group of Air Force medical personnel in Kabul is working to help Afghans. NATO stands up a new training command in Afghanistan. Also, medical personnel vaccinate troops in Iraq against the H1N1 virus. Hundreds of Afghan soldiers graduated from accelerated combat-company training this weekend. DNU Flash - USS O'Kane (DDG 77) Sailors train with Electronic Attack Squadron VAQ-136. DNU Flash - USS Blue Ridge (LCC 19) performs damage control training drills. DNU Flash - Explosive Ordnance Disposal Mobile Unit 5 Sailors assists USNS Rappahannock (TAO-204) with a tangled mooring line. DNU Flash - Carrier Strike Group 3 completes a sustainment exercise off the coast of Southern California. U.S. military doctors based out of Kandahar Airfield in Afghanistan are training Afghan medical personnel on intricate surgery at nearby Kandahar Regional Hospital. DNU Flash - Captain of the Maersk Alabama, Richard Phillips, receives the Inaugural National Maritime Valor Award. 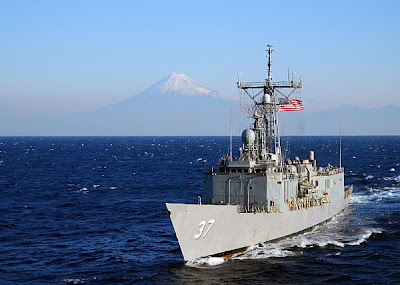 DNU Flash - Headlines from around the fleet: USS Chosin (CG 65) assumes the role as flagship for Combined Task Force 151; USS Blue Ridge (LCC 19) returns from deployment. Military leaders, organizations and family members recently got together to help assess the programs available to military families. The Iraq Air Force is slated to provide support for the upcoming election. NATO activates the new training command in Afghanistan. Medical personnel are working to vaccinate troops in Iraq from the H1N1 virus. Four American servicemembers were killed over the last 24 hours in Afghanistan. A cruise ship passenger is safe after being pulled from the waters 20 miles southeast of Miami. The war in Afghanistan was on the agenda when Defense Secretary Robert Gates and other leaders gathered Friday in Halifax, Nova Scotia. The commander of NORAD says law enforcement has helped stop terrorist attacks. Also, Sec. Gates comments on corruption in Afghanistan. The commander of NORTHCOM and NORAD is warning the nation not to become complacent because there have not been any terrorist attacks on U.S. soil since 9/11. DNU Flash - The captain of the Maersk Alabama thanks the crew of USS Bainbridge. DNU Flash - USS Denver completes fall deployment. DNU Flash - Alan Bean talks about his Naval career. Defense Secretary Robert Gates comments on corruption in Afghanistan while in Halifax, Nova Scotia. DNU Flash - Commander Fleet Activities Yokosuka holds a holiday safety stand down. DNU Flash - Headlines from around the fleet: Service members are reminded to create an account for their electronic service record; USS Nimitz participates in the 2009 Dubai International Air Show. The USO is creating care packages specifically for women. Veterans Affairs Secretary Eric Shinseki would like to see more servicemembers take advantage of the benefits his department offers. Bottle nosed dolphins and California sea lions will be on the duty roster in Washington state next year to help in security measures at Naval Station Kitsap in Bangor. The space shuttle Atlantis crew, which includes current and former members of the military, continues its work on the international space station this afternoon. The crew of the USS Bainbridge held a ceremony in Norfolk, Virginia Thursday to welcome back Captain Richard Phillips who was held hostage by Somali pirates in April. CJCS ADM Mike Mullen, says in the wake of the Ft. Hood shootings all military installations are looking at security. Defense Secretary Robert Gates says his department is investigating the Ft. Hood, Texas shooting earlier this month that left 13 people dead and dozens injured. Secretary of Defense Robert Gates announced his decision on who will lead the Pentagon's investigation into the shootings at Fort Hood, Texas. The Defense Department will conduct a separate review of the shootings at Fort Hood, Texas. DNU Flash - The Judge Advocate General Corps holds a moot court to train law students. DNU Flash - Naval Support Facility Diego Garcia holds an Iron Chef competition. DNU Flash - Deadlines for holiday mailing are set. DNU Flash - Maersk-Alabama repels pirate attacks off the coast of Somalia. The most important part of the future success of the military and it's capabilities rests with the people and families who serve. DNU Flash - Seabees at Commander Fleet Activities Sasebo improve facilities during their deployment. DNU Flash - Headlines from around the fleet: Returning Warrior workshops are held for individual augmentees; The American Cancer Society challenges Sailors to stop smoking for a day. The versatility of the National Guard and Reserve has been evident in Iraq and Afghanistan. Defense Secretary Robert Gates told National Guard leaders on Thursday providing for the needs of America's citizen soldiers and airmen is a top priority for the Pentagon. Relief operations continue in El Salvador in the wake of heavy rainstorms that hit the country earlier this month. Mourners packed two services at Fort Carson, Colorado on Wednesday to remember 15 soldiers who were killed last month fighting in Afghanistan. President Obama says Afghanistan needs to do more in the war against the Taliban. Secretary of Defense Robert Gates joined others on Wednesday for the funeral of Specialist Fred Greene who was killed in the shootings at Fort Hood, Texas. Commander in Chief Barack Obama wrapped up his nine-day tour of Asia by visiting U.S. troops at Osan Air Base in the Republic of Korea. Fire Scout - The Navy's Newest Weapon. Iraq's top U.S. commander says violence is at an all time low. Also, Afghanistan is preparing for their presidential inauguration. The Defense Department is urging service members to join the Great American Smokeout November 19th. DNU Flash - Army-Navy game spirit spots are due by November 20th. DNU Flash - Expeditionary Strike Group 5 holds a chain of command ceremony. DNU Flash - Naval Air Station Sigonella hosts a Breast Cancer Awareness walk. DNU Flash - Japan holds first Aerospace Industry Exhibition. The cargo ship, Maersk Alabama, came under attack by Somali pirates again Wednesday. DNU Flash - Naval Support Activity Bahrain provides single Sailors alternatives for entertainment. DNU Flash - Headlines from around the fleet: Maersk Alabama repells pirates off the coast of Somalia; H1N1 vaccination distribution is underway; Seaman to Admiral results are available. Security is being ramped up in the Afghan capitol of Kabul ahead of Thursday's inauguration of President Hamid Karzai. Every year around Christmas, Marines band together to help brighten the spirits of kids in need. The Department of Defense recognized DODEA's Teacher of the Year Tuesday at the Pentagon. The Army's number two officer is calling the challenge of turning around the service's suicide rate the toughest of his 37-year career. President Barack Obama arrived at Osan Air Base in the Republic of Korea Wednesday. Servicemembers with Joint Task Force Bravo are supporting disaster relief efforts in El Salvador after heavy rains triggered floods and mudslides earlier this month. The cargo ship, Maersk Alabama, is sailing toward Kenya Wednesday, after once again coming under attack by Somali pirates. The Marine Corps receives the F-35B for testing. Also, Army leaders meet to tackle the issue of suicide. California Governor Arnold Schwarzenegger returned to Iraq to visit the troops. DNU Flash - USS Blue Ridge delivers medical supplies to Vietnam. DNU Flash - Chief of Naval Operations Adm. Gary Roughead visits USS Ponce. DNU Flash - The keel is laid for the future USS Gerald R. Ford. DNU Flash - Ten MV 22 Ospreys land in Afghanistan. The Nation's largest USO facility celebrates 10 years of service. DNU Flash - Commander Fleet Activities Sasebo Sailors participate in chemical, biological and radiological training. DNU Flash - Headlines from around the fleet: Navy Personnel Command begins moves for Sailors with orders for fiscal year 2010; Army Navy game spots are being accepted. The Army's Vice Chief of Staff General Peter Chiarelli joined other Army leaders Tuesday for a roundtable on suicide prevention at the Pentagon. Psychological problems reported by soldiers in Iraq are at their lowest level since 2004 according to a new Army report. Security preparations in western Iraq's Al Anbar province are already underway for January's national elections. The Marine Corps is getting a chance to put the F-35 Joint Strike Fighter to the test. DOD's Suicide Prevention Task Force held its third public meeting in Bethesda, Maryland. The Departments of Defense and Veterans Affairs announced that beginning in January 2010 the Disability Evaluation System will expand to six additional installations. President Barack Obama is in Beijing for meetings with China's President Hu Jintao. President Obama comments on Iran. Also, a new detention facility is unveiled in Afghanistan. Army Secretary John McHugh orders an investigation into procedures at Arlington National Cemetery. DNU Flash - Sailors are reminded about domestic violence awareness. DNU Flash - Naval Air Station Sigonella Sailors visit a World War I memorial. DNU Flash - Naval Station Mayport opens a new motorcycle simulator for training. DNU Flash - Naval Support Activity Bahrain Sailors attend condensed college classes. President Barack Obama met with Russian President Dimitry Medvedev in Singapore Sunday, where they discussed how the two nations would maintain pressure on Iran and its nuclear programs. 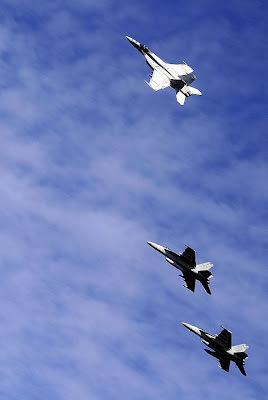 DNU Flash - Naval Air Station Jacksonville hosts an air show. DNU Flash - Headlines from around the fleet: Pre Commissioning Unit Independence begins acceptance trials; The Navy increases inventory for the Navy Working Uniform. The nonprofit group Homes For Our Troops presented their latest gift to a wounded warrior. The Commander of U.S. Central Command was in Washington D.C. Friday night to accept an award on behalf of CentCom's men and women. A new NATO headquarters is being activated this weekend in Afghanistan to oversee high-level training and mentoring of Afghan security forces. President Barack Obama comments on Iran's nuclear ambitions. The U.S. military unveiled a new detention facility at Bagram Air Base in Afghanistan over the weekend. President Barack Obama and Russian President Dmitry Medvedev met in Singapore Sunday. A ceremony was held on Sunday to celebrate the delivery of the first of twenty C-27 military transport planes from the U.S. to Afghanistan. It was just last week, on the afternoon of November 5th, that a lone gunman opened fire on troops gathered at the Soldier Readiness Processing Center at Fort Hood, Texas, killing 13 American soldiers... wounding 30 others... and shocking the nation and the world. Fort Hood has been "home" to the USO for nearly a decade, and our Fort Hood Center, located a short distance away from the site of the shootings, was locked down for five hours, as 35 service members anxiously waited inside. Within minutes of the "all clear," the USO's Fort Hood Mobile Unit was driven directly to the site of the tragedy, and immediately began providing 24/7 support to first responders, FBI, SWAT teams, and Emergency Response Units. A second Mobile USO Unit arrived on site within hours of the incident, redoubling our efforts. 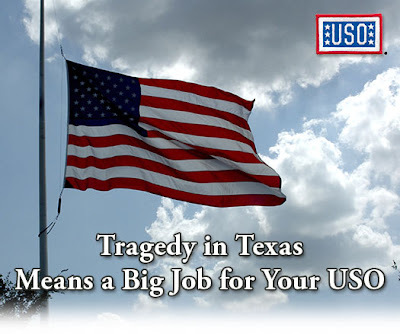 In the wake of this tragedy, the USO has gone all out to sustain the Fort Hood community in a variety of ways: helping to make counseling available to those who have lost a loved one or been emotionally impacted by the event... providing meals and snacks to GIs, their families, first responders, and the community at large... and offering troops a "safe haven" and a chance to gain some perspective on the violence so unexpectedly brought so close to home. This tragic event could not have been anticipated (or even imagined), nor could we plan ahead to meet the sudden dramatic needs of the Fort Hood victims and their families. Fortunately, our Fort Hood USO Center is staffed with dedicated professionals and volunteers who have jumped into the fray to do whatever is needed. But these sudden demands have created a sudden need for funds: to help the families of the fallen and the entire Fort Hood community. That's why we're emailing you, our most loyal donors, to ask for your help. We need to support not only the USO's efforts, but also those of other volunteer organizations working at Fort Hood in the aftermath of this tragedy. One hundred percent of every dollar you contribute will be used to assist the soldiers and families of Fort Hood who have been most directly affected by this tragedy. Won't you please give as generously as you can? On behalf of the people of Fort Hood, and all those we serve, "Thanks!" Today we reach 100 countries visitors. We are humbly proud. Veterans get help in applying for federal jobs. Also, Gen. Petraeus defends the use of unmanned aerial drones. The Army has released suicide data for the month of October. 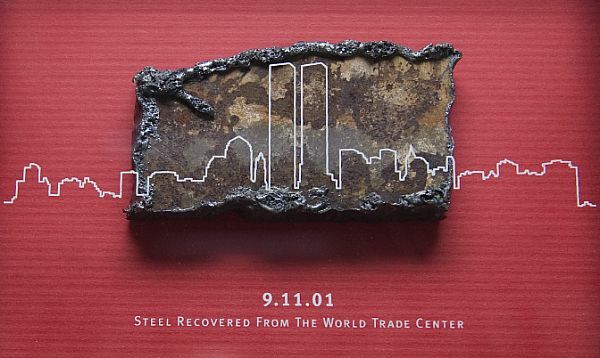 DNU Flash - Frank DeAngelis makes shadow boxes for every Marine lost in the Global War on Terror. DNU Flash - The Navy Memorial holds a wreath-laying ceremony to honor fallen service members. DNU Flash - Retired British major honors fallen service members. 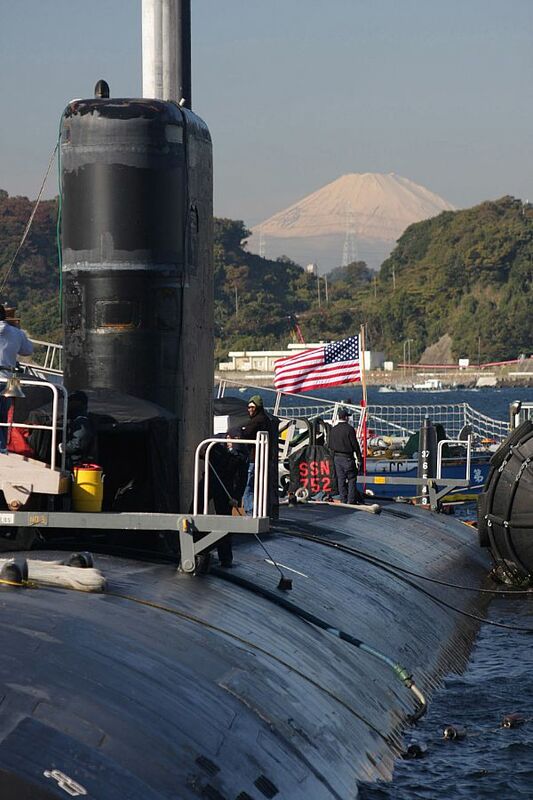 DNU Flash - Naval Submarine Base Kings Bay hosts World War II submarine veterans. President Obama called Japan an equal partner with the United States and pledged to work together to resolve the base realignment issues in Okinawa. DNU Flash - Hawaii honors fallen veterans. DNU Flash - Headlines from around the fleet: Chaplain Corps celebrates its 234th anniversary; John C. Stennis Strike Group gets underway. Health officials now estimate nearly 4000 people have died from the H1N1 virus over the last six months. President Obama held a joint press conference in Tokyo with Japanese Prime Minister Yukio Hatoyama. The National Guard is supporting flood response efforts in Virginia, Delaware and New Jersey. President Obama comments on North Korea during his visit to Tokyo. Defense Secretary Robert Gates spoke out against leaks to the media on both Afghanistan and the shootings at Fort Hood. President Barack Obama is in Tokyo this morning. He told reporters at a press conference Monday, he's still weighing the options concerning a troop increase in Afghanistan. Defense Secretary Robert Gates got a behind the scenes look at the newest all-terrain vehicles when he toured a production plant Thursday in Oshkosh, Wisconsin. ISAF confiscates more than 250 tons of explosives making material in Kandahar. 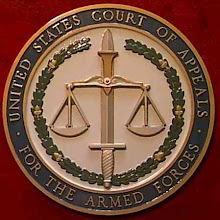 Also, 13 counts of premeditated murder are filed against Army Maj. Nidal Malik Hasan. The new Veterans Employment Initiative is bringing together several federal agencies to work toward the same goal of helping veterans find a job. DNU Flash - USS Enterprise (CVN 65) tests its catapult system. DNU Flash - USS Blue Ridge (LCC 19) conducts security training at sea. 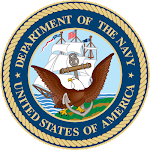 DNU Flash - The crew of USS Harry S Truman (CVN 75) wins the Secretary of Defense Maintenance Award. DNU Flash - Marines in Rota, Spain, celebrate their 234th birthday at the Marine Corps Ball. Army Major Nidal Malik Hassan has been officially charged with 13 counts of premeditated murder in last week's shootings at Fort Hood, Texas. DNU Flash - Doctors and corpsmen at Branch Medical Clinic North Island practice preventive medicine. 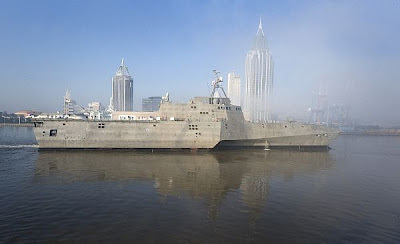 DNU Flash - Headlines from around the fleet: Americans observe Veteran's Day; USS Essex (LHD 2) embarks Marines and equipment for Annual Exercise 21-G. Leaders at Fort Hood, Texas say fifteen people remain hospitalized after last week's deadly shooting. Vice President Joe Biden, and his wife Jill, hosted a Veterans Day luncheon at their residence Wednesday to show their appreciation for the troops. In his Veterans Day address at Arlington National Cemetery, President Barack Obama pledged the nation will never forget the service and sacrifices of its men and women in uniform. Defense Secretary Robert Gates spoke at the Library of Congress Tuesday to commemorate the fall of the Berlin Wall twenty years ago. President Barack Obama paid tribute to U.S. servicemembers in a Veterans Day ceremony at Arlington National Cemetery. DNU Flash - World War II veterans visit the war memorial in Washington, D.C.
DNU Flash - November 11th is recognized as Veterans Day. DNU Flash - Commander Fleet Activities Yokosuka Sailors participate in a parade in Tokyo. DNU Flash - Iraqi medics receive training from Navy corpsmen. DNU Flash - A Naval Support Facility Diego Garcia chaplain brings cultures together through religious services. DNU Flash - Headlines from around the fleet: Combined Task Force 152 changes command; The Marine Corps updates the Rosetta Stone partnership in foreign language training. DNU Flash - USS George Washington Sailors visit a child care center during a community relations project in Hong Kong. DNU Flash - USS Bataan deploys MV 22 Osprey in support of Operation Enduring Freedom. DNU Flash - The Society of Hispanic Engineers encourages diversity alongside the Navy. DNU Flash - The Combined Federal Campaign is in full swing around the fleet. DNU Flash - Headlines from around the fleet: The Marine Corps celebrates its 234th birthday; The 14th annual Women of Color Science, Technology, Engineering, and Math Conference is held in Dallas. A changing of the guard at the organization charged with leading the fight against IEDs. The president signed a new executive order encouraging the hiring of veterans. Also, the TSA offers gate passes for family of deploying troops. November is a time set aside for the Department of Defense to acknowledge the challenges and sacrifices of military families. Two men are safe today after the Coast Guard rescued them from an oil rig in the Gulf of Mexico. Officials estimate about 600 people were directly affected by last Thursday's shooting spree at Fort Hood, Texas. Tropical Storm Ida is making her way inland this morning. Many of the soldiers wounded in last week's shooting spree at Fort Hood will be attending today's memorial ceremony honoring their fallen comrades. DNU Flash - The Marine Corps celebrates its 234th birthday. The U.S. government strongly deplores the assault on bloggers Yoani Sanchez, Orlando Luis Pardo, and Claudia Cadelo. On November 6, these three activists were forcibly detained by plain clothes security personnel and beaten while en route to a peaceful demonstration in Havana. The President has proclaimed November 9 World Freedom Day. It is precisely this sort of repression and violence against the voices of freedom and reconciliation that World Freedom Day is meant to expose. We call on the Government of Cuba to ensure the full respect of the human rights and fundamental freedoms of all its citizens. We have expressed to the Cuban government our deep concern with the assaults, and we are following up with inquiries to Yoani Sanchez, Orlando Luis Pardo, and Claudia Cadelo regarding their personal well-being and access to medical care. The Army is making sure its civilian employees at Fort Hood are aware of counseling opportunities. DNU Flash - USS Harry S. Truman Sailors participate in firefighter training. DNU Flash - Naval Station Rota works with locals to conduct water repairs. DNU Flash - Sailors attend a career options class. DNU Flash - Master Chief Petty Officer of the Navy Rick West talks with Fleet Force master chiefs. Northern Command conducts nuclear response training. DNU Flash - Joint Special Operations Task Force Philippines helps build local roads. 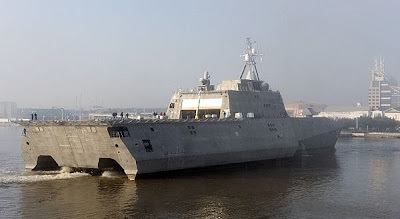 DNU Flash - Headlines from around the fleet: USS New York joins the fleet; Holiday mailing dates for overseas packages are posted. Florida and Louisiana declare a state of emergency as Ida nears. Elections in Iraq will go forward in January. 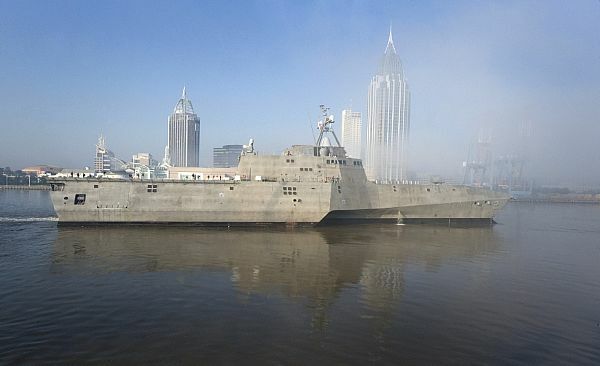 The Navy commissioned its newest ship Saturday. Top Army officials are cautioning against jumping to conclusions as the probe into last week's shootings at Fort Hood continues. The Fort Hood community held an evening prayer service Sunday to remember those lost in Thursday's shooting at the post's Soldier Readiness Center. Army Chief of Staff General George Casey is calling the deadly shootings at Fort Hood gut wrenching. Posttraumatic Stress Disorder (PTSD) provides a common language for diagnoses and assessment of trauma victims, including Holocaust survivors. Many of these survivors established post-war families and it is here that we began to witness the possibility of trauma transmission. Parental communication regarding the Holocaust, often characterized by obsessive re-telling or all-consuming silence, and strong family ties are implicated in the theoretical literature on trauma transmission. Terms such as vicarious, empathic, and secondary traumatization have been used to describe intergenerational trauma transmission. The crucial emergent question is whether a secondary PTSD syndrome, reflected in the current PTSD symptomology, is being transmitted from one generation to the next. There is evidence in the literature to support this hypothesis and a call is made for rigorous empirical studies as the test. The diagnostic criteria for PTSD established in the DSM-IV provides a standardized means of assessing the effects of trauma. Concentration Camp Syndrome, Survivor Syndrome, Postincarceration Late Injury and Concentration Camp Neurosis among other terms were precursors to what is currently known as Posttraumatic Stress Disorder. In this article, PTSD will be used as an umbrella term encompassing earlier terms such as Survivor Syndrome. Regardless of the term used, extensive evidence exists suggesting that large numbers of Holocaust survivors suffered and continue to suffer from their traumatic experiences. Theories of trauma transmission from survivor to offspring have been proposed in psychological literature, but the exact nature of what is transmitted has gained little attention. Various researchers have suggested that since many Holocaust survivors suffer from PTSD, their offspring will also suffer from a syndrome of similar dimensions with diminished proportions (Barocas & Barocas, 1973, 1979; Solomon, 1990). In the following article, trauma will be described in terms of the PTSD diagnostic criteria from the DSM-IV (APA, 1994). The primary focus of this article is to report upon literature-based evidence of PTSD symptom transmission in the second generation. Secondarily, a case for empirically based research further exploring this topic will be advanced. Much definitive evidence has become available acknowledging the occurrence of PTSD in large numbers of Holocaust survivors (Berger, 1975; Chodoff, 1970; Eaton, Sigal, & Weinfeld, 1982; Eissler, 1967; Hunter, 1988; Krystal, 1968; Rosenbloom, 1988; Rubenstein, Cutter, & Templer, 1989). In 1962, Eitinger described common effects of concentration camps on 100 prisoners 15 years after liberation. Some survivors were simply unable to feel, while others had the paradoxical response of euphoria mixed with emotional numbness. 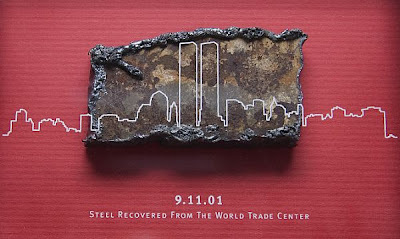 Remarkably, most survivors resumed work almost immediately after repatriation despite severe physical and emotional impairment. Eitinger used the term "concentration camp syndrome" to describe a series of symptoms notably similar to those currently known as PTSD that he found to be present in approximately 85% of his sample group. Secondary PTSD is not a disorder which is recognized by the Diagnostic and Statistical Manual of Mental Disorders (as of the fourth edition). However, if you lived with someone who suffers from PTSD, you may notice yourself beginning to "mirror" some of their behaviors. This transformation is called Secondary Post Traumatic Stress Disorder. You'll find often throughout this site that I reference a "wise Vietnam Veteran's wife" - that wonderful lady, who is the founder of the Vietnam Veteran Wives organization, was the first to tell me about secondary PTSD. Until that point, I really just thought I might be having a nervous breakdown. The signs, symptoms, and effects of Secondary PTSD are just as varied as the ones exhibited by Veterans with "primary" PTSD. It really is hard to explain, unless you've lived it. However, I'm going to try! Basically, when you're living with a veteran who has Post Traumatic Stress Disorder, you become his (or her) caretaker. You slip into a role, without even noticing it, that has you constantly watching for people or circumstances that might "set him off." You're trying to make sure everything stays in line - that nothing aggravates or upsets your vet - that everything is "perfect." Despite your best efforts, you're still getting screamed at and berated by the person you're trying to help on a much too frequent basis. Your vet is not emotionally "there" for you. When you're upset or happy, angry or sad, you have to deal with your emotions on your own. You begin to feel ignored and unloved and start "protecting" yourself by treating others - especially your vet - the same way. You're also probably handling all household chores, childcare, financial management, etc. You get no help (or very little) from your spouse. You're the cook, chauffeur, secretary, accountant, yard guy, child care provider, laundry service, etc., etc., etc. Everything in your family feels like it's up to you. It is a 24x7 job at which you constantly fail. It's not humanly possible to do everything - or to prevent PTSD from creeping in. This cycle takes its toll on many spouses. You lose yourself. It's impossible to tiptoe around your vet, day in and day out, while taking care of all of life's other duties (duties normally shared between two people), without feeling the strain. And that strain soon transforms into... ta da... Secondary PTSD. Secondary PTSD may make you feel overly angry, depressed, exhausted (but, alas, unable to sleep), overwhelmed, and just plain unhappy with the world around you. I can honestly say there have been times when I found the idea of folding a load of laundry absolutely impossible. I felt like I could not do anything right. I cried a lot and was really, REALLY pissed at the world. Unfortunately, one of the reasons we started this website is there aren't a lot of resources available for family and friends of veterans who are suffering from PTSD. There are a number of counseling options available (for free) to veterans, but spouses and children are pretty much left out in the cold. If you can afford to seek counseling on your own, it may be a good idea. However, you should look carefully for a counselor who has experience dealing with veterans and their family members. Normal, "civilian" counselors may try their best to understand, but it's like trying to explain the military way of life to someone who has never lived it... it's almost impossible. Carve out time for yourself - I know from experience that this is easier said than done. But, simply giving yourself a few minutes a day to read, take a walk, enjoy a bubble bath, or do anything else that you enjoy, will make a difference. There are several websites, etc., for vet spouses. My favorite is the Vietnam Veteran Wives (VVW) site and organization. I've joined the group and started working with them on their online forum. If you'd like to visit the VVW, CLICK HERE. It's a great way to find other spouses of veterans with PTSD. Give yourself permission to be less than perfect for a while - A family who is adjusting to a post-combat, PTSD world, is experiencing a crisis. It's not pretty. It's not nice. And it may zap your physical and mental strength like nothing you've ever experienced. That may mean your house is messy, you're not great at returning calls, remembering birthdays, etc., etc., etc. I'm not saying you should turn into an inconsiderate slob forever. But, I am saying you've got to be willing to admit you may not be at "the top of your game" for a while. That's okay! Get involved - Find something that lets you help other people. Sometimes the simple act of putting yourself and your own troubles aside to help someone else can help you shift your focus. Learn to count to 10 (or 20... or 30) - Many spouses with secondary PTSD find themselves getting angry at small, insignificant things. You may find that you have little or no patience with your spouse or children. First, hopefully it will make you feel a little better to know that this is "normal." Second, learn how you "feel" when you begin to lose control (your ears may ring, you may begin to fidget, or tap your foot, etc.). Knowing these signs can let you catch your anger before it's out of control. As soon as you start to feel them, stop, take a few deep breaths, and count slowly to yourself until you start to settle down. Counseling available at VA Vet Centers for spouses. The Veterans Administration is currently operating 207 "Vet Centers" throughout the United States, Guam, Puerto Rico, and the Virgin Islands. These centers are designed to provide counseling and support for combat veterans. The description of the centers on the VA website, which says, "Services are also available for their family members for military related issues. Veterans have earned these benefits through their service and all are provided at no cost to the veteran or family," is a little misleading, though. Spouses are only eligible for family therapy AND only when the combat veteran is classified as a "clinical patient" with the Vet Center. The Vet Centers qualify someone as a clinical patient only when they are (1) enrolled in the center, (2) actively receiving counseling, and (3) have been to at least 3 appointments. So, if you're interested in PTSD family therapy (marriage counseling), and you can get your hubby (or wife) to enroll for counseling, the centers are a great FREE resource. However, if you feel that you need individual counseling or your vet has refused to seek counseling, you're up a creek. Don't get me wrong, the Vet Center that my husband is using is excellent, has a warm, friendly staff, and has been a great resource for him. I just REALLY disagree with the idea that family members cannot receive individual counseling and only qualify for services when a vet agrees to seek help. One of the hallmarks of vets with PTSD is they don't recognize they have a problem. This leaves the family out in the cold until the vet is ready to recognize his or her issues. To view information about the Vet Centers, including locations, CLICK HERE to visit the VA's website. To submit a message to the U.S. Senate Committee on Veteran Affairs to tell them you think family members of Veterans should have access to counseling, CLICK HERE. Dear Buttercup - A series of articles about primary & secondary PTSD from the Vietnam Veteran Wives organization. Written in a relaxed format that's a little funny & a little sarcastic, it's a nice way to read about something so serious. Secondary PTSD Video on YouTube - 3 minutes 36 seconds - A good review of what Secondary PTSD is and how to avoid it. Key Elements in Couples Therapy for PTSD - This is a research article posted on the American Psychological Association website. 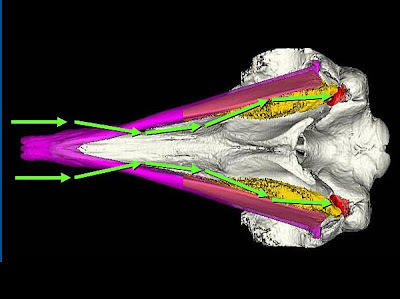 It's very technical, but gives a wealth of information.